Osage County Emergency Management has announced that all burning is suspended for today, Nov. 12, 2015, due to weather conditions. In addition, the National Weather Service has issued a red flag warning that is in effect from noon today until 5 p.m. this afternoon. With a forecast of sunny with a high near 60, and breezy conditions, the rangeland fire danger index will be in the very high category this afternoon. A high rangeland fire index means fire control will be very difficult and require extended effort. Winds are expected to be sustained at 15 to 25 mph with gusts upwards of 30 to 35 mph this afternoon, and humidity at 22 to 27 percent. 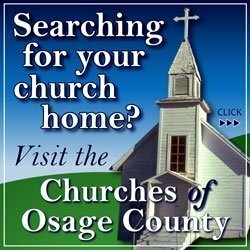 With OCEM’s announcement, all outdoor burning is prohibited in Osage County today. A red flag warning means that critical fire weather conditions are either occurring now or will shortly, and a combination of strong winds, low relative humidity, and warm temperatures may lead to extreme fire behavior. 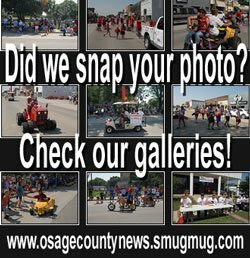 Today’s NWS red flag warning covers Clay, Riley, Pottawatomie, Jackson, Jefferson, Ottawa, Dickinson, Geary, Morris, Wabaunsee, Shawnee, Douglas, Lyon, Osage, Franklin, Coffey and Anderson counties. 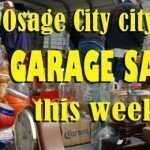 For more information, contact Bryce Romine, Osage County Emergency Management director, at 785-828-3323, or 131 W. 14th St., Lyndon.